Earn points just for eating. Simple as that. 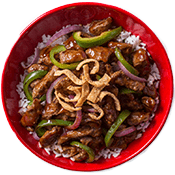 Sign up for Genghis Rewards today. Order online or in-store for 20% off on Tuesdays. 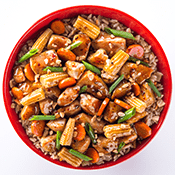 Introducing four new Signature Bowls: chef-created, made fresh for you. Order from the table or online now. We like you. That's why we make it easy (and delicious) for you to rack up rewards points. It's simple: sign up, eat and earn. SIGNATURE BOWLS. 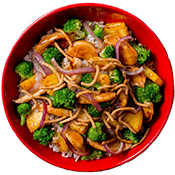 DELICIOUS BOWLS JUST FOR YOU. BUILD THE BOWL. EAT THE BOWL. Meet the meats. Choose from steak, beef, chicken, shrimp, tofu, and more. Or skip ‘em altogether. We're all over the country, grilling your bowls to the heights of amazing-ness. 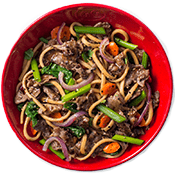 Check to see if our Mongolian BBQ is near you. What’s yours? We’d love to feature it. Just tag it using #HowIGenghis.